With high gas prices and warm weather, what better time to get a scooter. Glenn Alan Bartels, better known as LA’s Scooter Guru gives his top reasons for owning a scooter. It’s eco-friendly. Do your part to stop global warming by riding a scooter instead of your SUV. No, you don’t have to trade in your car, but by switching 10% of your annual commute to a scooter, you will help save almost 325 million tons of carbon dioxide and 15 million gallons of gas per year. Save on gas money. It’s a no-brainer, the average cost to fill up a scooter tank is $6.40, which takes you 140 miles. It’s affordable. 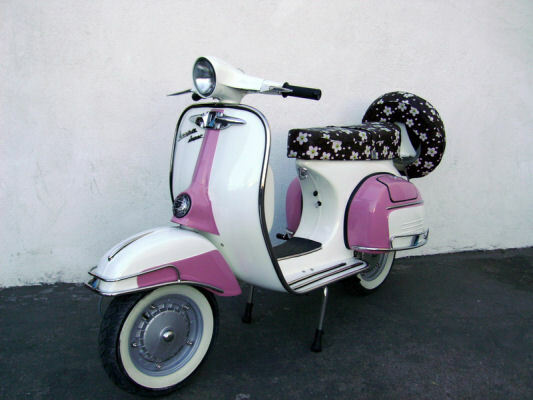 Buddy Scooters start at $1,999 and vintage Vespas start at $3,995. You’ll earn this cost back in gas savings your first year of riding. Get your favorite color custom made. Whether you want it in fuchsia, hot pink, or radiant red, you can have your very own. Parking has never been easier. 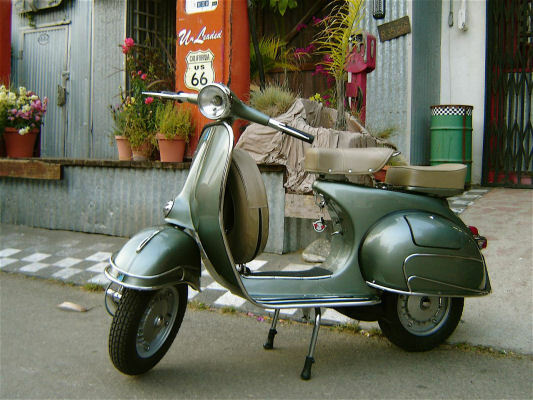 The scooter can be parked almost anywhere. Depending on your city, certain parking ordinances may apply, but scooters tend to be non-threatening and only slightly bigger than a bicycle. Bond with your guy. Almost 60% of men are scooter owners, including George Clooney, Bruce Willis, and Arnold Schwarzenegger. So you can hold on to him while he drives or you can both get one of your own and go scootin’ together. Visit Route66ModernClassics.com to learn more about owning your very own scooter or Vespa.